Drafting and Revising: Patience really is a virtue – Comedy or Tragedy? I’m in the middle of this right now, and discovering that implementing all the stuff I’ve learned over the last two years is considerably more difficult than I’d thought. I hear you. Revisions to BRS are taking *forever*…seems it’s one thing to know what you need to do to improve something and another to actually execute said changes. Sigh. Onward! 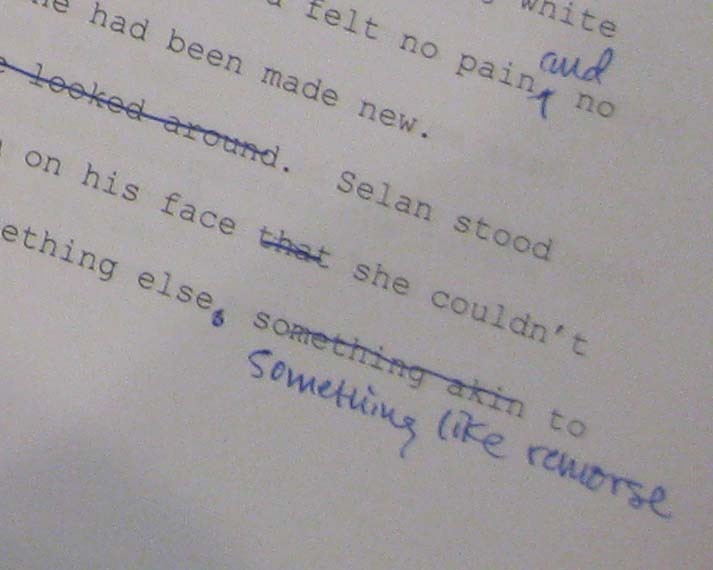 It usually takes me between ten and fifteen revisions to get a short story to a satisfactory state. The novel is on the ninth or tenth draft. Oh, my.